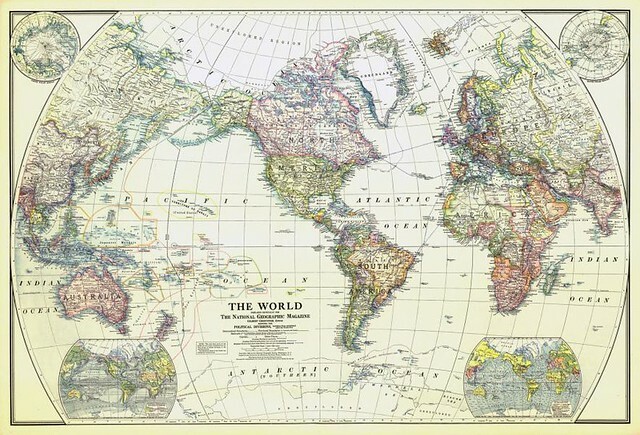 The collection is brimming with more than 6,000 maps (and counting) and you’ll have a chance to see some of the highlights as the magazine’s cartographers explore the trove and share one of their favorite maps each day. 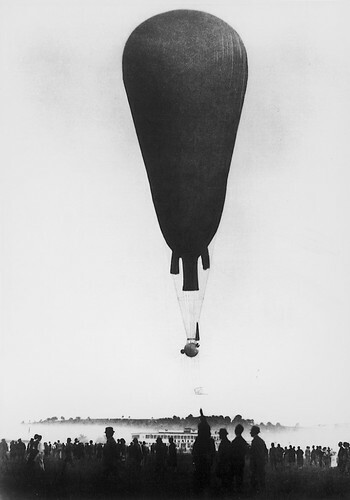 As we contemplate cartography, we might recall that it was on this date in 1931 that Swiss physicist, inventor, and explorer Auguste Piccard launched himself and an assistant in a 300-pound, 82-inch diameter aluminum gondola suspended from a hydrogen gas-filled balloon. They rose to a record 51,775 feet, then landed safely. 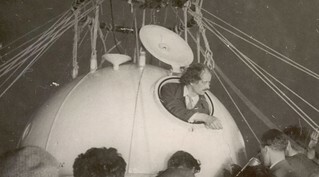 Auguste Piccard was the model for Professor Cuthbert Calculus in The Adventures of Tintin by Belgian cartoonist Hergé, and Gene Roddenberry’s inspiration in naming Captain Jean-Luc Picard in Star Trek. My great-great-great-grandfather, Edward Linley Sambourne (1844–1910), known as “Sammy,” was the principal cartoonist for Punch. Sammy set up a studio at his home in Kensington, London, and photographed not only his servants and children, but also himself—thousands of times! 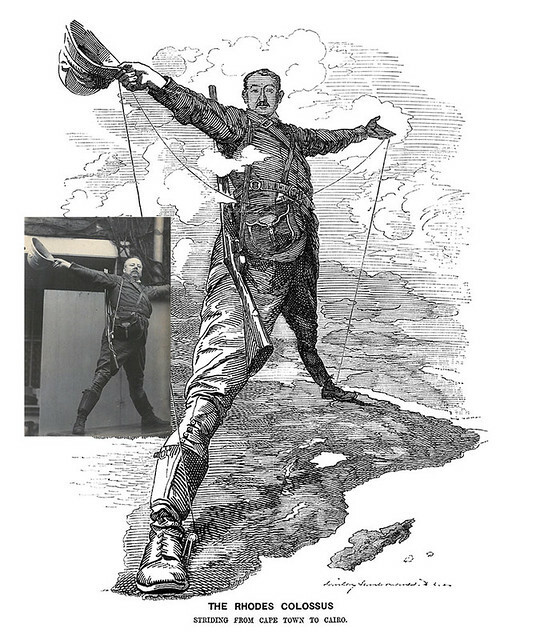 “The Rhodes Colossus,” depicting British colonialist Cecil Rhodes with one foot in Cairo and the other in Cape Town, is his most iconic drawing. As we watch the birdie, we might recall that it was on this date in 1888 that the National Geographic Society was incorporated. 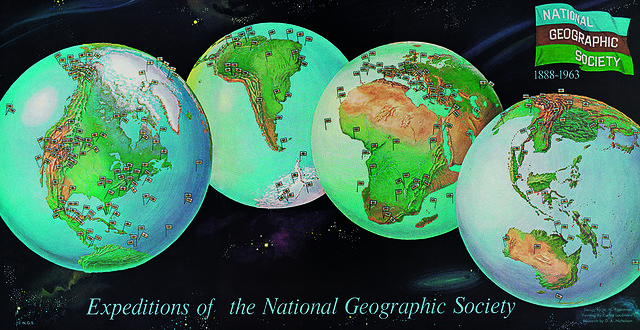 Two weeks earlier, the 33 founders of the Society had first met at the Cosmos Club in Washington, D.C. to agree to plans; nine months later, the first issue of National Geographic Magazine was published. This 1963 painting depicts the founders signing their names to the new organizations’s charter. 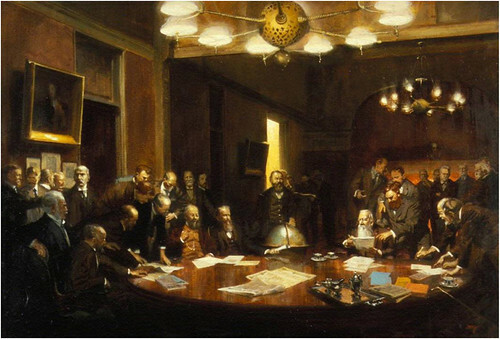 The table in the painting is in use today in the Society’s Hubbard Hall. They don’t always do what they’re supposed to do. 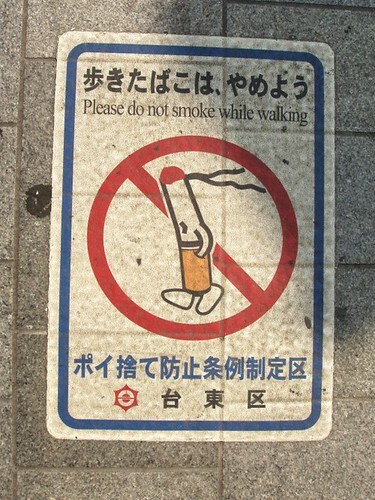 Especially in the rainy season. 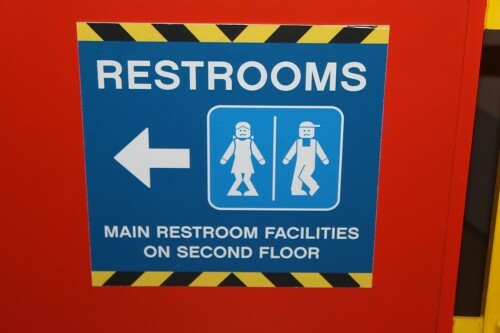 Look down before you step into running water. More hard-earned education at Evopropinquitous. As we recheck our rucksacks, we might send adventurous birthday greetings to Gilbert Hovey Grosvenor; he was born on this date in 1875. 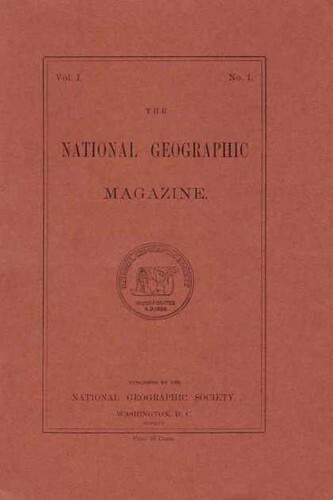 Grosvenor was recruited in 1899 to a small scholarly journal published by the National Geographic Society. 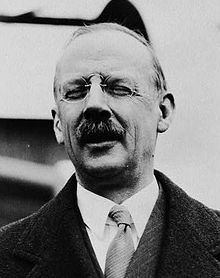 (His benefactor was a friend of his father’s, Alexander Graham Bell, then the president of the Society (and soon, Grosvenor’s father-in-law.) Grosvenor became the journal’s first full-time editor, and began to build it, developing its extraordinary photographic service and map department. 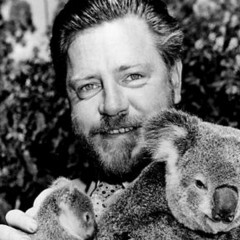 Revenue from growing circulation supported expeditions– which supplied more remarkable photos and maps… Membership grew from 900 in 1899 to more than 2 million at the time of his retirement (by then, as President of the Society) in 1955. 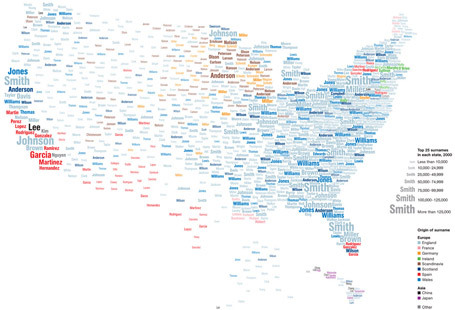 A new view of the United States based on the distribution of common last names shows centuries of history and echoes some of America’s great immigration sagas. To compile this data, geographers at University College London used phone directories to find the predominant surnames in each state. 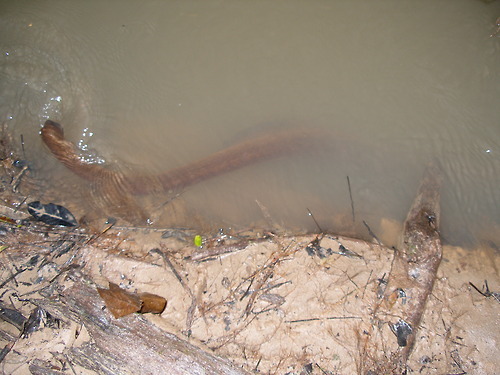 Software then identified the probable provenances of the 181 names that emerged. Many of these names came from Great Britain, reflecting the long head start the British had over many other settlers. The low diversity of names in parts of the British Isles also had an impact. Williams, for example, was a common name among Welsh immigrants—and is still among the top names in many American states. But that’s not the only factor. Slaves often took their owners’ names, so about one in five Americans now named Smith are African American. In addition, many newcomers’ names were anglicized to ease assimilation. The map’s scale matters too. “If we did a map of New York like this,” says project member James Cheshire, “the diversity would be phenomenal”—a testament to that city’s role as a once-and-present gateway to America. As we ruminate on roots, we might recall that it was on this date in 1654 that the Portuguese issued the Capitulation Protocol, giving Jewish and Dutch settlers three months to leave Brazil. Approximately 150 Jewish families of Portuguese descent fled the Brazilian city of Recife, in the state of Pernambuco. By September, twenty-three of these refugees had established the first community of Jews in New Amsterdam (now, of course, New York City). These “Sephardim” (Jews of Spanish-Portuguese extraction) had followed a tortured path. In December 1496, following Ferdinand and Isabella’s Spanish example, King Manuel I of Portugal had expelled all Jews from Portugal, driving many to flee to more tolerant Holland. From there, some migrated to Pernambuco, a colony of the Dutch West India Company in modern-day Brazil. That community flourished until the Dutch eventually surrendered Pernambuco to the Portuguese– and the Sephardim were again forced to flee. 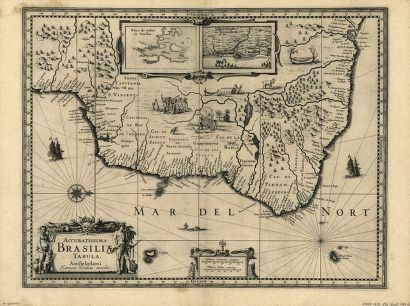 After being driven ashore in Jamaica by Spanish ships, twenty-three members of the community, along with a group of Dutch Calvinists, made their way to New Netherland (New York)– another colony run by the Dutch West India Company. Even then, the trials were not past: Peter Stuyvesant governor of New Netherland, feared that the indigent newcomers would burden the colony; but when he motioned to eject the Jewish newcomers, the Company (many of the shareholders of which were Jewish) refused his petition… and the wanderers found a home. As we reframe our sense of our place in the world, we might wish an expansive Happy Birthday to Walter E. Diemer; he was born on this date in 1904. 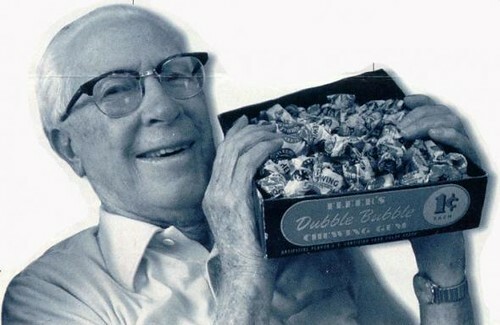 Diemer was working as an accountant for the Fleer Chewing Gum Co., when in 1928 he accidentally invented bubble gum while experimenting in his spare time with recipes for a chewing gum base. Fleer sold a test batch in a Philadelphia grocery store, which sold out in one afternoon. Diemer (who later became senior vice president of of the company) then taught Fleer salesmen how to blow bubbles, so they could demonstrate the product as they traveled from store to store selling the penny-a-piece gum. Almost 3/4 of a century later, Diemer still could not believe that “all the bubble gum in the world came from my five-pound batch…” The pink color of Diemer’s first batch is still standard. As we give in to the guides, we might recall that it was on this date in 1888 that the first issue of National Geographic Magazine was published, nine months after its parent, The National Geographic Society, was founded.